A new month is always a chance to look back at the opportunities we made the best of, as well as the ones we missed. If you didn’t get on the Bitcoin 6%-drop-in-an hour bandwagon at the beginning of September or if you overslept Ripple’s late rally that doubled altcoin’s value in just 48 hours, make sure you read this article, and get ready for similar events in the future. 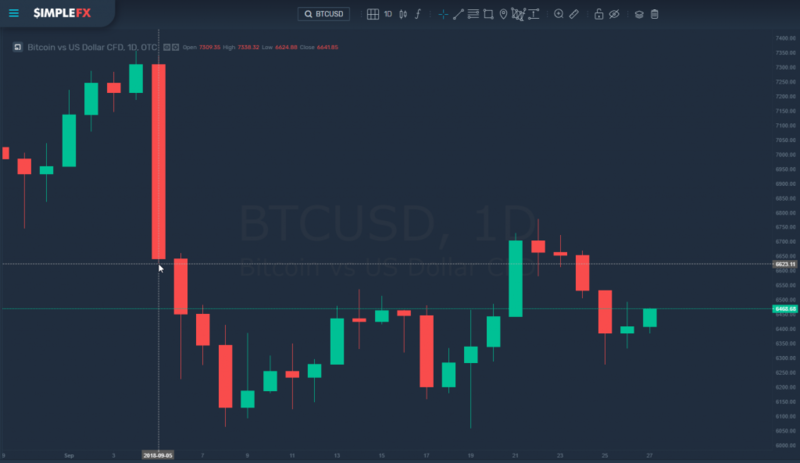 There were some exciting events in crypto markets in September, but the two very different but equally attractive opportunities for day traders stood out. Here’s a September wrap-up and October forecast by SimpleFX WebTrader, CFD trading made easy. The 5th of September was the most interesting day for Bitcoin last month. Without any apparent reasons the price plummeted. It was the largest single-day drop since March 29th. At 9:45 am GMT (5:45 am ET) bitcoin price dropped 3% in just 15 minutes and 6% in an hour. Traders who were able to predict this move or recognized early how unique the sellout was, and took a leveraged position could make a fortune. 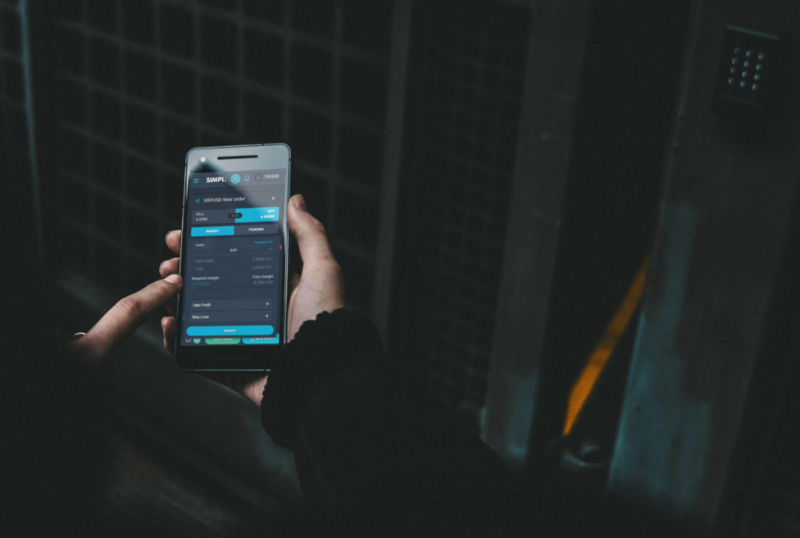 All you needed is a reliable price and volume alert, and a fast and reliable trading app to take a chance. The price swing was so spectacular it provoked 282% increase in 24hr BTC volatility. Goldman Sachs rolled back the announcement about cryptocurrency trading desk plans, and the news may cause a massive sell-off. Silk Road Bitcoins were dumped on the market. Large sellers used a technical breakdown as an opportunity to speculate and crash price. The Bitcoin collapse unsurprisingly affected the altcoins. Here’s what happened to ETHUSD. 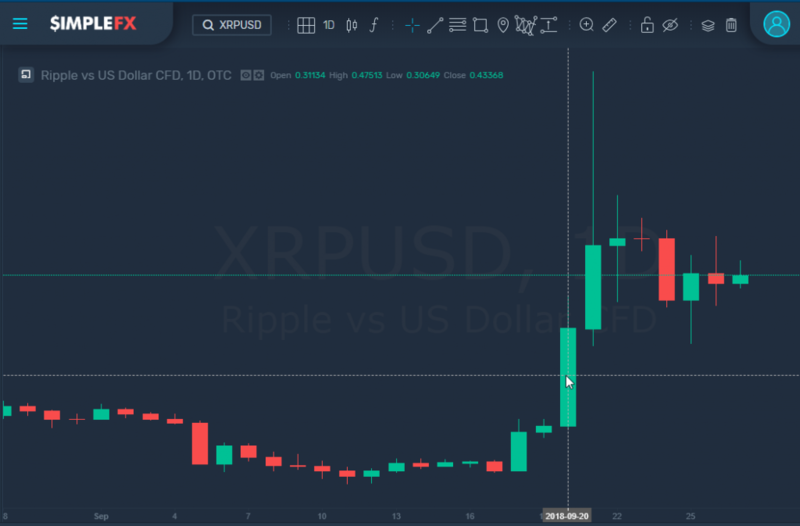 At the end of September Ripple (XRP) had an interesting run. Just take a look at the candle bars on the 20th and the 21st of September. Ripple was a star currency during these days. Unlike the 5th of September sell-off, this time, the cause was quite evident. Ripple Labs Inc., a company which owns approximately 60 percent of the XRP supply, has announced some plans. 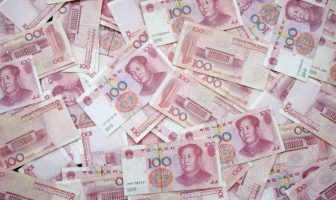 The news was that “in the next month or so” Ripple Labs would start a new service xRapid allowing payment providers speed up money transfers into emerging markets. The announcement wasn’t the strongest one, but the stagnation on the cryptocurrency markets made it resonate impressively well. It worked, the investors went crazy about Ripple for… two days. The hungry crypto bulls were waiting for a sigh to buy, even though a Ripple spokeswoman said Thursday that there wasn’t any official commercial release timeline at this point. The XRP price went up almost 100 percent. At some point, Ripple grew over 140% in September. For a while, it even overtook Ethereum as the second biggest cryptocurrency. The surge in price revealed lack of belief on the part of some key Ripple partners. “Wall Street Journal” reported on Monday the 24th that Ripple co-founder Jed McCaleb, an owner of billion dollars in XRP was selling them high. Ripple fell to 44 cents, and although Ethereum dropped by 13 percent as well, XRP went back on the third place in CoinMarketCap.com. Anyway, it was a great show and an excellent opportunity for day traders to make some money. Some other news that has some potential of impacting cryptocurrency markets in October and months to some. The Swiss are going to make crypto official? A Swiss financial services company Seba Crypto AG raised money to become one of the world’s first regulated banks letting consumers easily swap dollars and euros into cryptocurrency. 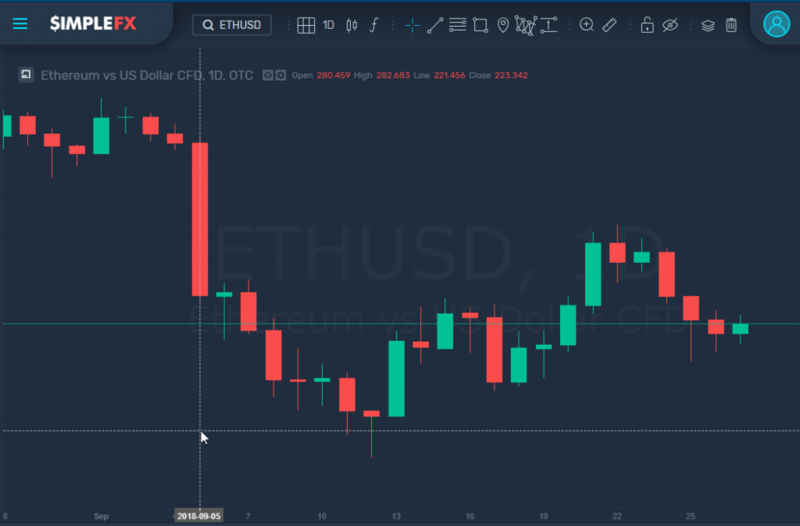 The Alphabet Inc. needed some time, and crypto markets needed some time to stabilize. Google allowed ads for regulated crypto exchanges in the US and Japan. Since the 1st of October, these companies reclaim the most powerful marketing tool, which should positively affect all cryptocurrencies. Founder and chief executive officer of Block.one Brendan Blumer said his company is going to invest $1 billion in the expansion of EOS, which is the main competitor to Bitcoin and Ethereum blockchain systems. Block.one has some serious backup from very experienced and successful venture capitalists and hedge fund managers in Peter Thiel and Michael Novogratz. People interested in cryptocurrency should be always ready to make use of a high price volatility opportunity. Just follow these steps if you notice an interesting signal. First, follow the crypto news and social media influencers to be ahead of the curve when the new data arrive. Second, setup price and volatility alerts on the key cryptocurrencies. Third, remember to keep some, even smallest, funds active on your CFD account, you can always use to trade with leverage. 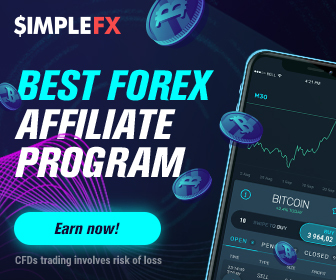 This task is much easier in the case of platforms, which have no minimum deposits, like SimpleFX. 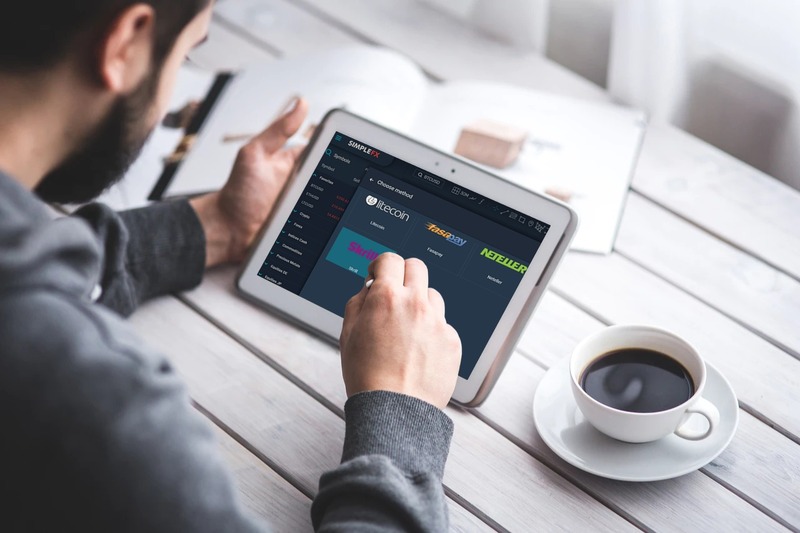 Finally, you need a reliable, fast, and easy to use platform, which makes SimpleFX WebTrader a perfect tool for day trading opportunists. The key is to have access to the trading platform you feel comfortable with on any device. There’s no need to carry your laptop around if you can open a winning order from your mobile. Take the opportunity and good luck in October!